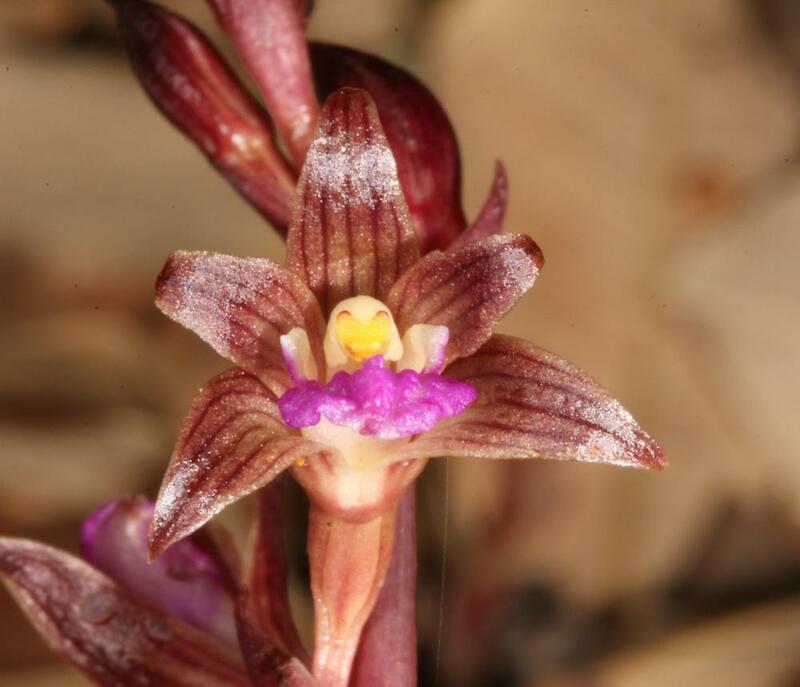 Hexalectris parviflora is a recent addition to our flora. 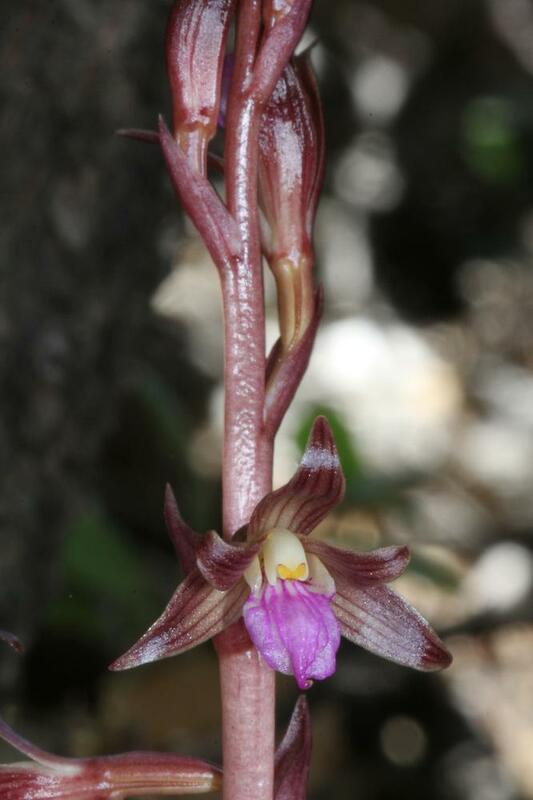 Once believed to be restricted to Mexico and Guatemala, extensive field surveys in 2015, combined with a review of the type description, and examination of herbarium specimens, confirmed this orchid's presence in the Dragoon Mountains and Peloncillo Mountains in Arizona. 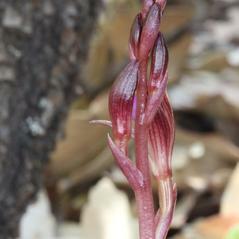 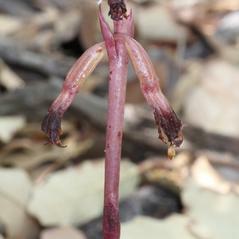 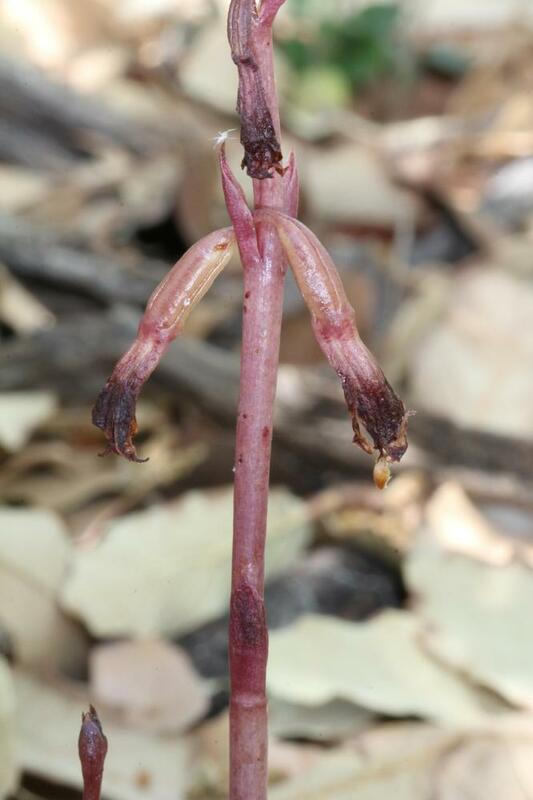 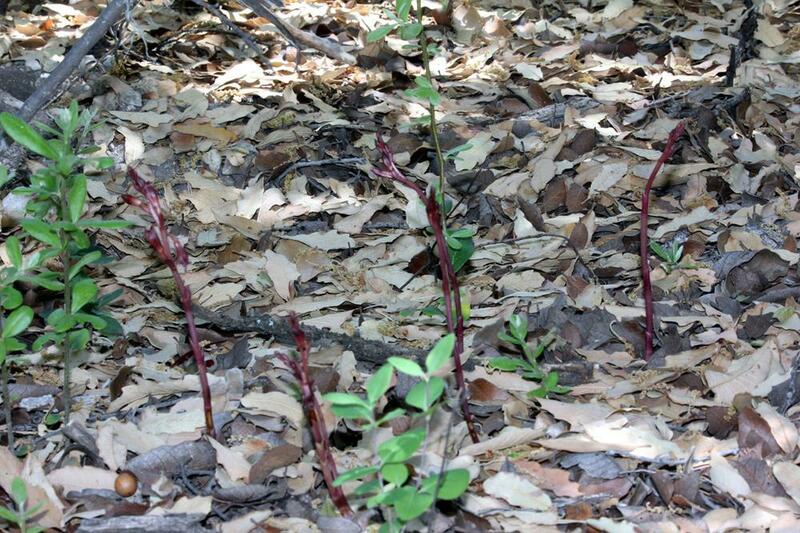 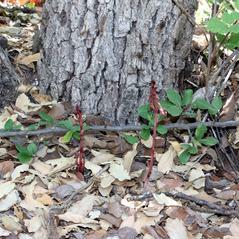 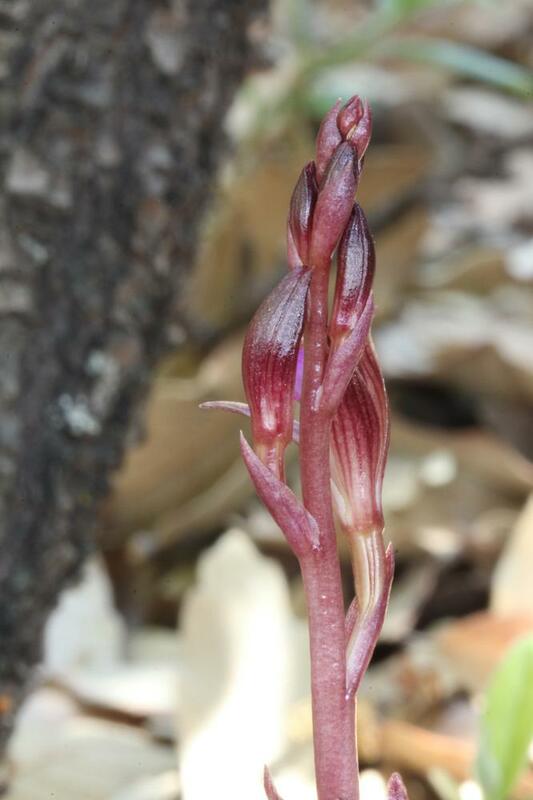 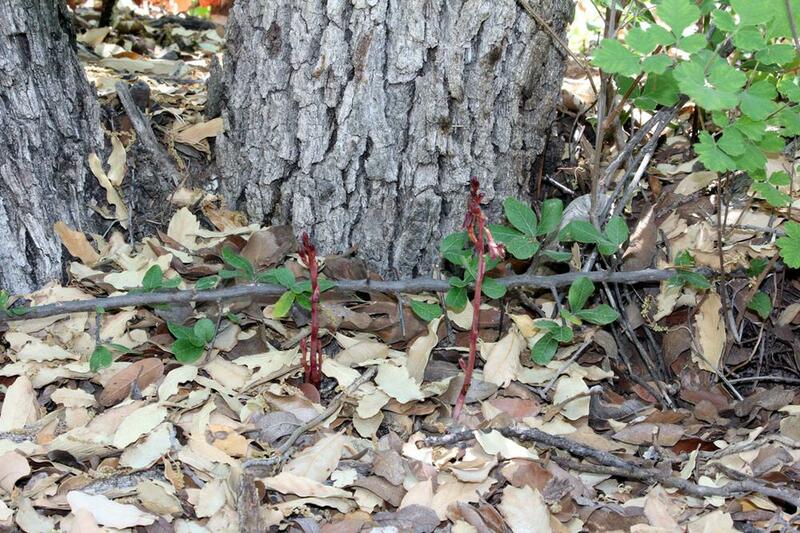 The leafless stems are dull rose-lavender and like other members of this genus, this orchid is myco-heterotrophic. 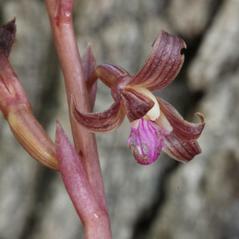 The small flowers are brown-brick red with white side lobes on the lip. 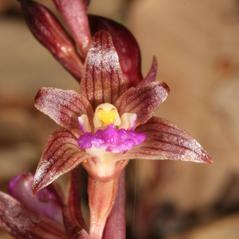 The larger central lobe and ridges on the lip are bright purple. 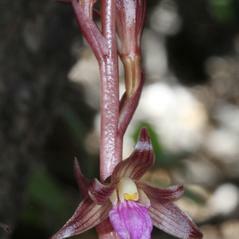 This orchid grows in mixed oak/pine woodlands. 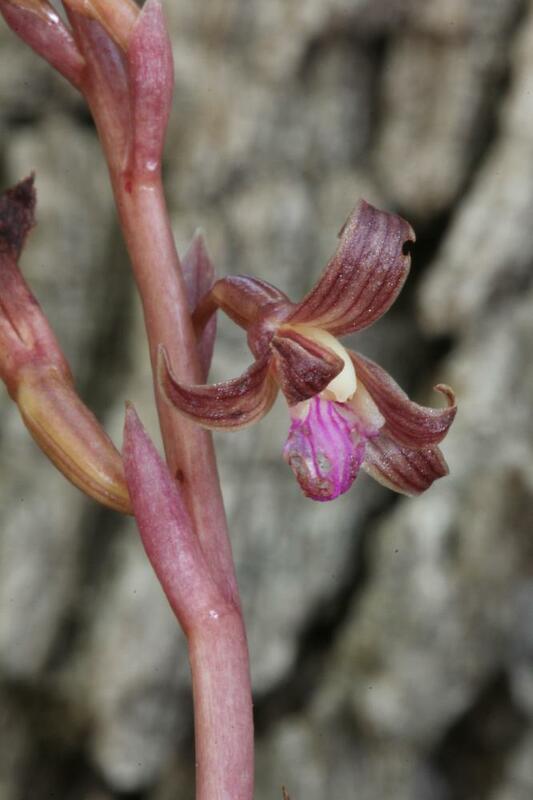 The conservation status of Hexalectris parviflora has not been reported and surveys continue to determine the distribution of this orchid. 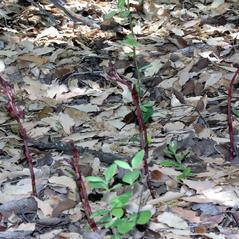 Known populations generally consist of relatively few individuals.